One of the most beautiful things about Taiwan is the convenience stores that can be found at almost every corner, particularly impressed for foreigners. These stores open 24-7, providing all kinds of services to meet people’s needs. However, the food safety scandals in 2013 had made CVS suffer decline in traffic in recent five years for the first time. Though recovered in 2014, the overall performance is still behind the level of 2012. According to Kantar Worldpanel, although the extending services, cooked food, fresh food and ice cream indeed won back traffic for CVS, branded products are not really benefited from it. Except for packed beverages that slightly grew due to new products’ stimulus and take away beverages pesticide residues scandals, as well as health food has recovered to 2012 level, the buyers of the branded package foods and dairy in the major four CVS (7-11, Family Mart, Hi-Life, OK) have gradually decreased in the past 3 years. Moreover, the traffic in the most recent year (up to June 2015) declined at double-digits compared to last year. What are the causes of the branded package foods decline in CVS? Are there any growth opportunities in the future for brand manufactures? Due to the economic stagnation and continuous food safety scandals, Taiwan FMCG market has declined since the second half of 2014. According to Kantar Worldpanel, at the moment of economic downturn and conservative consumption, consumers tend to buy less non-necessary products such as biscuits, chocolate, candy, gum…etc. Even if they shop, it is more likely for consumers to buy the economical big pack-size in hyper channels instead of the impulsive purchase at CVS. Based on the data, the traffic of food rations has decreased 15% in the latest year, higher than the market average. In the demand of convenience, frozen food and instant noodle in CVS had kept growing for several years. However, cooked food in CVS has offered more convenience to the buyers in recent years, making the traffic of frozen food and instant noodles rapidly reduce. In addition, current food safety scandals have made consumers concerned about the in stuffing and oil provided, resulting in nearly 40% decline in frozen food, 20% decrease in instant noodle. Neither could overall chilled desserts recover from pudding safety scandals; therefore, once more caused the traffic drop 10% this year. In addition to the influences affected by both fresh and cooked food, CVS strongly promotes private labels including beverages, frozen food and snacks that crowd out branded products. On the other hand, ice cream consumers switch to CVS for novel flavors, adding hail to snow. Hence, if branded products want to win the favor of consumers in CVS, it is important to distinguish themselves from private labels by its unique value. How can brand manufacturers win back CVS consumers and seize the chance to grow? 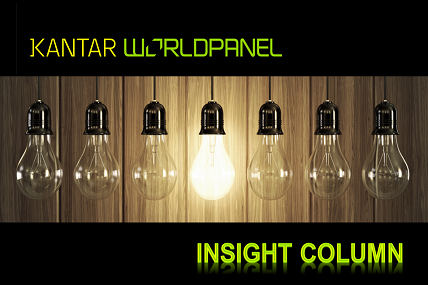 Kantar Worldpanel suggests following three aspects. Take instant noodles as an example, though severely affected by the fresh food, imported instant noodles from Japan, Korea and other Southern-east Asia countries are in fact well-performed in CVS, indicating that the buying motivations of instant noodles have changed from satisfying hunger to seeking fun or making oneself happy and enjoy the simple delicious food. Thus, re-position instant noodles in CVS, such as reducing the pack-size into snacks, or creating new flavors and innovative edible ways can attract more buyers. Take yogurt as another example, despite the fact that chilled desserts declined severely, nature-claimed and flavor diversified yogurt products perform a new force suddenly coming to the fore in CVS this year this year, once again reflecting consumers’ demands for health and the pursuit of novelty. The rage of ice cream and café indeed brought new customers to CVS, whereas it did not fully make the use of the traffic and maximize consumers’ basket size since shoppers just wait in front of the machine after the pay. In fact, CVS can cooperate with brands to stimulate consumers’ purchase motivations; for instance, biscuits can be tie-in sale with ice cream, by positioning next to the counter and waiting area. Similarly, chewing gum can be placed next to the coffee stirrers on account for both reminding consumers the refreshing feeling and avoid the inconvenience of second round checkout. Additionally, redesigning the traffic flow and the shelf display can also increase buying intentions. Kantar Worldpanel suggests that brand manufacturers should build a strategic alliance with CVS, study consumers’ basket as well as understand their demands to a better shelf display, consequently create a higher value per customer transaction. After a series of food safety scandals, Taiwanese consumers become more conscious with food safety. As a result, brand manufacturers should devote every effort to product marketing and trust-building in order to regain consumer’s confidence, or even spontaneous search the products. With the advantage of high traffic, brands not only can make use of CVS as the platform to build equity for further growth but also win back the lost buyers.